In June, Instagram rolled out IGTV. If you are already an Instagram user, you’ve probably noticed the orange television icon at the top of your timeline. 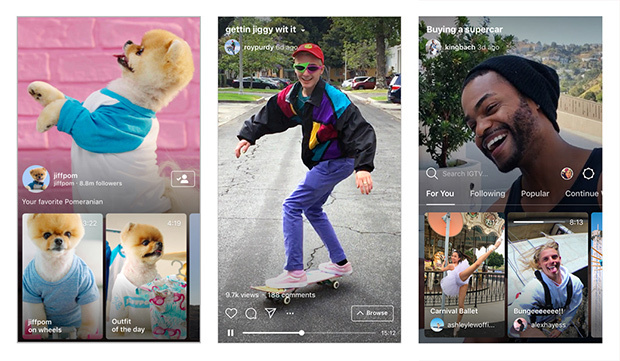 The new feature is Instagram’s answer to video sharing apps like YouTube and Periscope, and is branded as “a new app for watching long-form, vertical video from your favorite Instagram creators.” It can be accessed through the Instagram app, but there is also a new, dedicated app for IGTV available for Android and iOS. The application sets itself apart from other video sharing sites in a few different ways. IGTV is designed for vertical video viewing, so there’s no need to turn your phone sideways to get a full-screen view. This can provide a more immersive storytelling format for authors and can help build a deeper connection between you and your followers. IGTV can be a great platform to document your writing process onscreen, from explaining your current stage of writing your book to answering fan questions about your characters and more, all with the captivating vertical video format. Instagram Stories allows for only short videos, but IGTV gives you the opportunity to make videos up to an hour long. This helps you create more fleshed-out videos that invite readers into an author’s world. You can also post videos that you’ve already used on other social media platforms, if the content is evergreen. IGTV uses your Instagram presence to connect with your existing followers, but it also offers the chance for you to grow your audience and be discovered by new fans. Now people can engage with the full range of your content—photos, stories, and longer videos—all in one place. According to Instagram, IGTV will help you reach 50 percent more followers. 1. Access IGTV by opening the Instagram app and tapping the television icon in the top rht-hand corner of the screen. You can also download the dedicated IGTV app on the App Store or Google Play. 2. When you open IGTV, there will be video content automatically playing (much like on a regular TV). This is controlled from the For You tab, which curates videos that the app thinks you may want to see. You can also choose between other tabs: Following (videos from everyone you follow), Popular (the most popular videos that viewers are watching and interacting with), and Continue Watching (a history of videos you’ve already watched). The toolbar takes up about half the screen; when you’ve selected a video to watch, you can swipe down to see a full screen of the content. 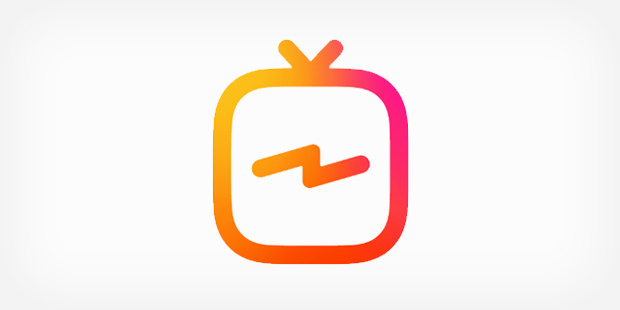 Since the IGTV platform is still so new, it will likely see many changes and updates in the coming months. In the meantime, it could be beneficial, especially if you are already an Instagram user with an active presence, to become an early adopter of the platform and figure out what in IGTV appeals to you. 1. Pay attention to thumbnails. While you can go back and edit titles and descriptions, it’s not currently possible to edit the thumbnail. Thumbnails are the number-one factor in getting viewers to notice and click on videos. You may want to create a custom thumbnail, since the video title and your Instagram handle will be superimposed on the lower third of the thumbnail—plus, you can’t always rely on finding a perfect still from your video. 2. Keep titles very short—in the main feed they cut off after about 30 characters. 3. Though the platform is designed for vertical videos, you are able to post horizontal videos. They will need to be edited so they upload sideways (and don’t forget to take the time to make a vertical thumbnail!). 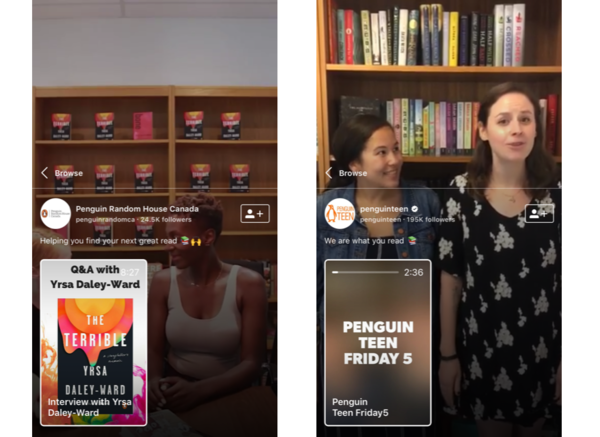 Some Penguin Random House imprints have also begun using IGTV to feature long-form interviews with authors, promote upcoming giveaways and sweepstakes, and post content from live events like author signings and Comic Con. For more on how to use IGTV, browse the IGTV FAQ page, as well as Instagram’s Creator Handbook for IGTV, to familiarize yourself. Neda Dallal is Associate, Publishing Development and Author Platforms, for Penguin Random House.